Robert Lippok's "Falling into Komëit" might be called a remix-album but it is rather a tribute. The idea of reinterpreting Komëit's full-length album "Falling into Place" (m25) settled when he - among others - participated in a remix 12" ("Falling back together") to the album. Now, almost two years since, he has realized his idea and finished "Falling into Komëit". The album is a very simple, very personal way of paying credit to Komëit's universe of tender and fragile, minimalistic songs. 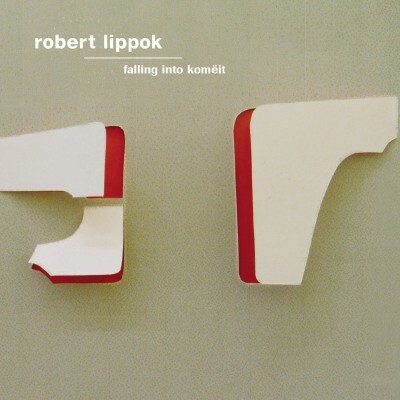 Robert Lippok has been very careful not to destroy or to boldly paint over the distinctive structure of the songs but to keep their character and still to create something new that carries along his idea of music in general and Komëit's music in particular.This album is also about passion. It is about music as a passion, which is able to express emotions, thoughts and dreams, and about the many different ways and materials that make this expression possible. And above all it is about a very classical and beautiful understanding of music (which might have gone lost a little within the context of a very fast and somehow superficial pop industry) that saves music from transitoriness: This is the idea of music as a language that is passed on, getting supplemented and thereby growing in its ability to actually describe what you want to express. It is thus similar to fairy tales and myths that constantly change in the process of narration but never actually lose their original meaning. And this - ladies and gentlemen - is of course the main idea of Monika Enterprise as a label, too.